Daniel Horowitz works in painting, drawing, collage, and installation. His art confronts social anxieties, embodied in faceless figures and chimerical scenes representing displaced identity. Twisted and stretched objects or body parts, rendered in vibrant colors, channel the surreal while examining contemporary reality. 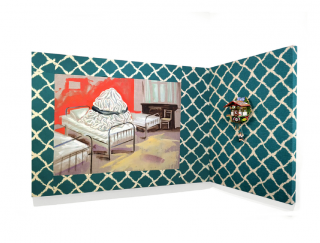 In his recent solo exhibition Sleepwalking/Somnambulisme at the Espronceda in Barcelona, Spain (2015), paintings drifted through space, were camouflaged in a large mural, or integrated into a living room from a by-gone era – all created by the artist as a site-specific installation. Horowitz's imagery alters the original nature of objects creating an oneiric landscape. His paintings employ an associative logic, whereby disparate objects are thrown together into impossible images that are nonetheless psychologically cohesive. Through dissonant object pairings and Freudian fluency in our collective symbolic lexicon, Horowitz conjures up what cannot be visualized into something visible. Horowitz’s paintings suggest a narrative but this promise dissolves into ambiguity. Originally inspired by Surrealism and the Polish Poster School, he developed natural interest in the so-called New Leipzig School, known for mixing surrealism and realism. In 2015 he won a prestigious residency at the Spinnerei Art Center in Leipzig, Germany, where Neo Rauch’s studio is located. Daniel Horowitz graduated from Art Center College of Design, Pasadena, CA (2001). He gained recognition for his series of daily drawings, 365, exhibited in 2012 at the Invisible Dog Art Center in Brooklyn, NY, and subsequently shown internationally at Christie’s New York, The Direktorenhaus in Berlin, and the Museum of Modern Art in Warsaw. 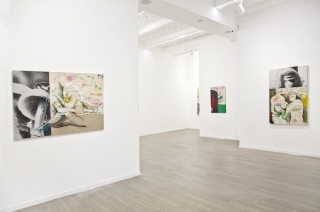 In 2014 he exhibited his метаморфоза series at the L’inlassable Galerie in Paris. In the same year Horowitz won artist residencies at the Pioneer Works and Residency Unlimited, both in Brooklyn, NY, and the Karen Huber Gallery in Mexico City. A residency at the Spinnerei Art Center in Leipzig followed in 2015. Each culminated in a solo exhibition. 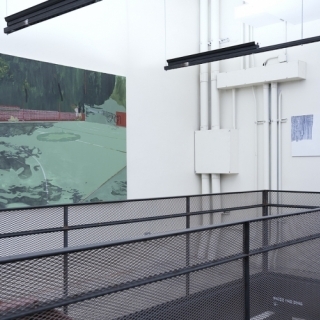 His recent work, which has grown to encompass painting and installation, has been exhibited internationally, including solo exhibitions with Joyce Yahouda Gallery in Montreal in 2016 and Rutger Brandt Gallery in Amsterdam in 2017, and group shows at the Museum of Fine Arts in Split, Croatia; and the Musée de la Chasse et de le Nature, in Paris. 2018 has brought fellowships with the Cité Internationale des Arts in Paris, France, where his studio is currently located and the Villa Lena Foundation, in Toiano, Italy.